Heartworm is a potentially deadly disease in dogs which can be easily prevented by daily, monthly or six-monthly preventative treatments. These are available in a wide range of formulations, including tablets, chewable treats, topical applications and injections. There is something to suit every lifestyle and budget. Heartworm is a dangerous dog disease caused by parasitic worms living in the heart and nearby blood vessels. It is transmitted by mosquitoes, not by contact with other animals, so most animals are vulnerable during the mosquito season. When mosquitoes feed, they inject tiny immature larvae into the dog with their saliva. Once the dog is infected, it usually takes about six months for these immature larvae to develop and move to the heart, by which time they are mature adults. The aim of prevention options is to kill these tiny larvae before they can develop and move to the heart. Treatment, on the other hand, aims to kill the adult worms when they have reached the heart. This is certainly a disease where prevention is better than cure, as not only can it be fatal, but the treatment of mature worms can also be hazardous to the dog's health. "This is certainly a disease where prevention is better than cure, as not only can it be fatal, but the treatment of mature worms can also be hazardous to the dog's health." Most modern preventatives are from a group of drugs called "macrocyclic lactones",. These are used commonly in livestock, as well as in small animals, to treat a wide range of parasites. They have a very wide margin of safety and are highly effective parasiticides for a wide range of parasites. Depending on the dose and method of application, they can be used to prevent solely heartworm, or heartworm and some intestinal worms as well as external parasites, such as fleas and mites. The most commonly-used preventatives in dogs are ivermectin, milbemycin, selamectin and moxidectin. 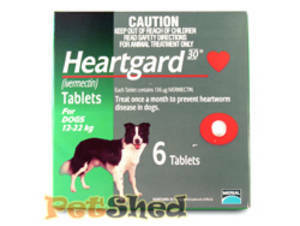 Ivermectin is found in Heartgard, Heartgard Plus and generic medications. 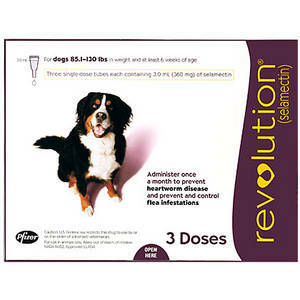 The ivermectin is contained in these products at very low levels, such that it only acts against heartworm larvae. The 'Plus' products also contain pyrantel, which will kill roundworms and hookworms in the intestine. These medications are available as tablets or chewables administered once per month. Milbemycin oxime is contained in Sentinel and Interceptor. The dose of milbemycin in these products prevents heartworm as well as treating roundworm, hookworm and whipworm infections. Sentinel also contains lufenuron, which interferes with the life cycle of fleas by preventing flea eggs from hatching (but does not kill adults). Both of these products are flavored tablets given once a month. Selamectin is contained in Revolution. This is a once-monthly topical liquid applied to the skin at the back of the neck. It prevents heartworm and controls flea infestations and ear and sarcoptic mites in dogs. Moxidectin is contained in Proheart tablets and Proheart 6, a six-monthly injection. The injectable form is currently unavailable. 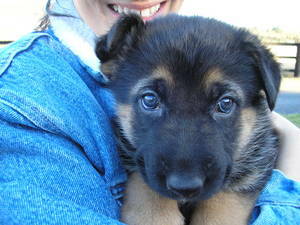 The tablets are given once a month and prevent heartworm disease. All of these products contain macrocyclic lactones. These kill the tissue stages of the larval heartworms very efficiently and only need to be given once a month (or less frequently in the case of the sustained-release injection). They are generally very safe when used in dogs, but should not be used in young pups as they can enter the brain and cause nervous system symptoms such as depression and signs of stupor. Collie-type dogs are more sensitive to nervous- system effects than other dogs, but even in these breeds, the products have several-fold safety margins and are certainly safe at the recommended doses. Treatment with these products should begin within one month of the commencement of the mosquito season right through to the end of the season. There are also daily tablets containing DEC (diethylcarbamazine), such as Filaribits, or Filaribits Plus, the latter also containing oxibendazole, which controls roundworm, hookworm and whipworm. These tablets must be given every day. Missing just a couple of tablets could render the dog vulnerable to contracting heartworm. The tablets need to be given from the start of the mosquito season until one or two months after the heartworm transmission season ends. Heartworm is potentially a deadly disease but it is easily preventable. Ensure your dog is on heartworm prevention medication throughout the transmission period. Consult your veterinarian for advice as to which product is best for your dog and the required timing of the medication throughout the year in your area.